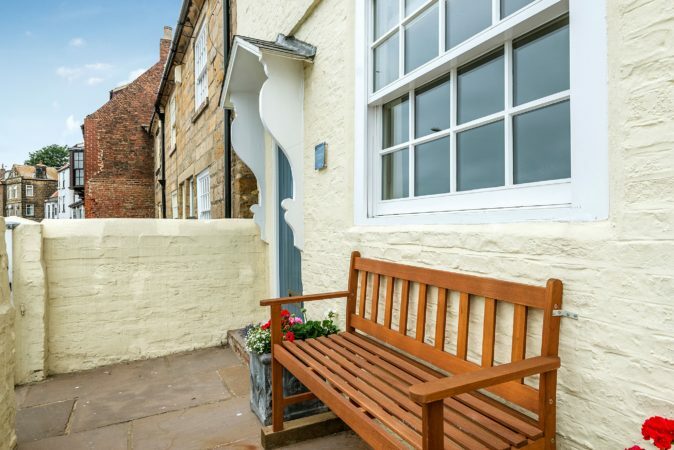 Explore what’s hidden behind the 1670 façade and discover the gems of this wonderfully refurbished residence. 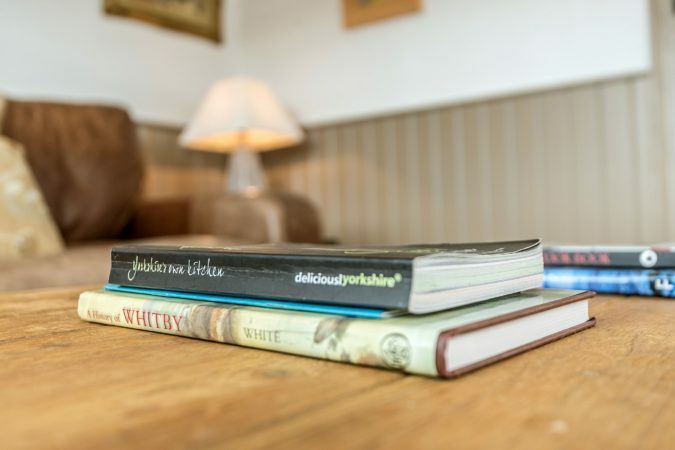 Being centrally located, your adventure at Scoresby House is just the start of a fabulous holiday. 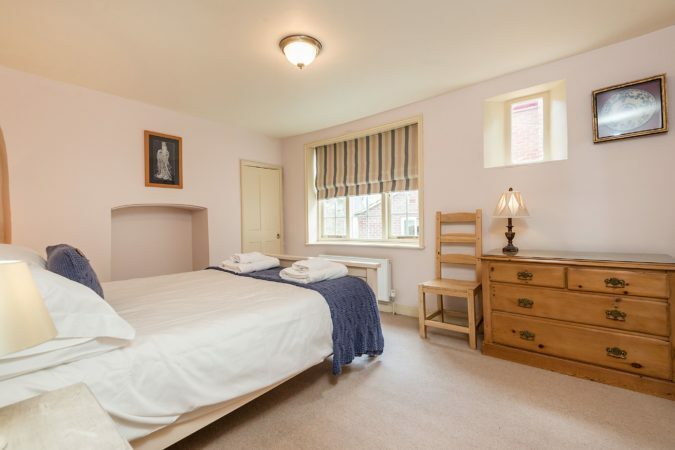 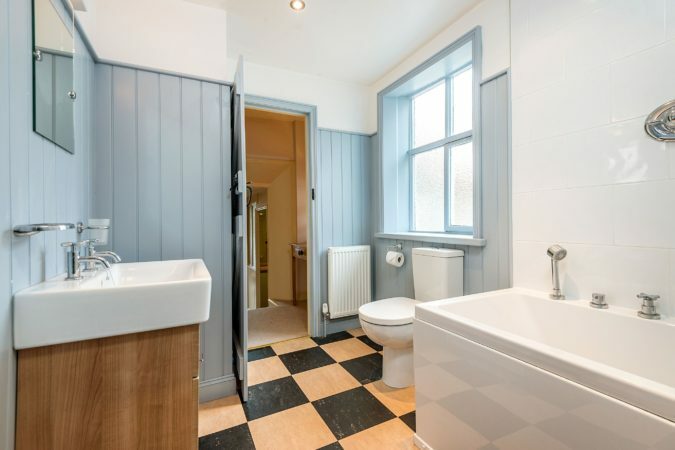 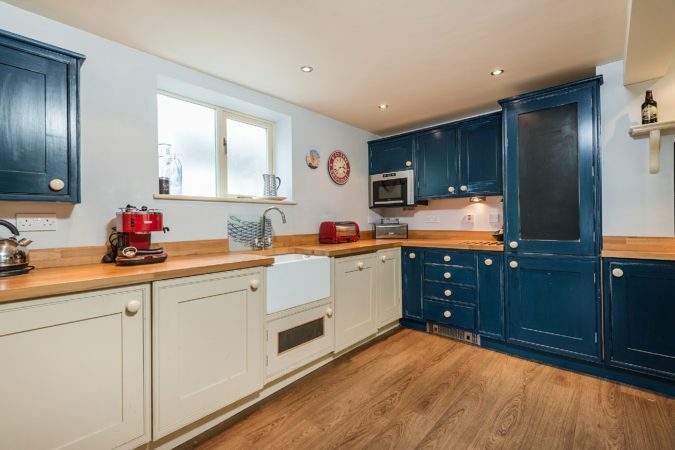 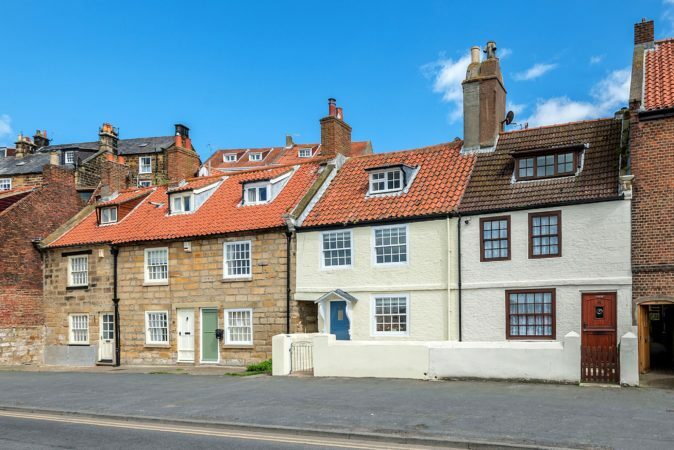 Don’t let the quaint, whitewashed cottage appearance of Scoresby House fool you, this is a tardis ready to provide everything a family of six needs on a Whitby holiday. 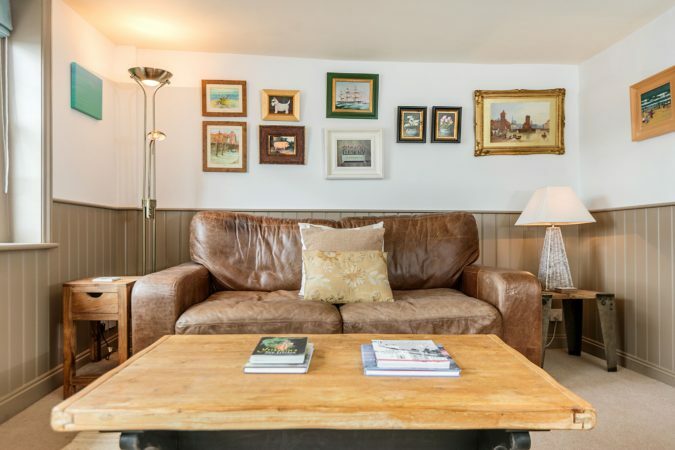 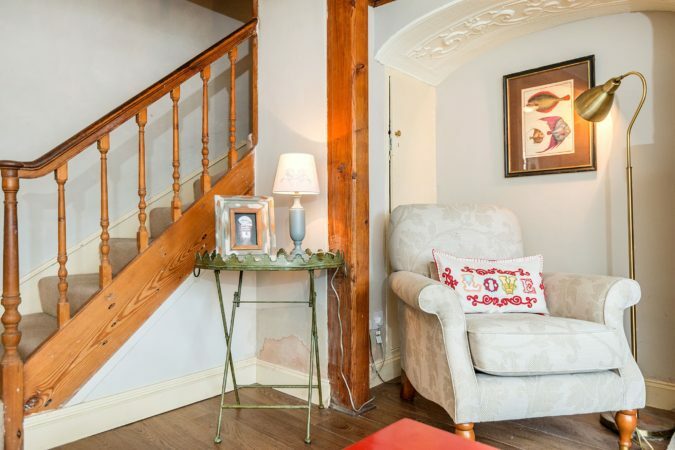 Step straight into the ground floor lounge and you’re following in the footsteps of Arctic Explorer Captain William Scoresby, who acquired the house in the 1800s. 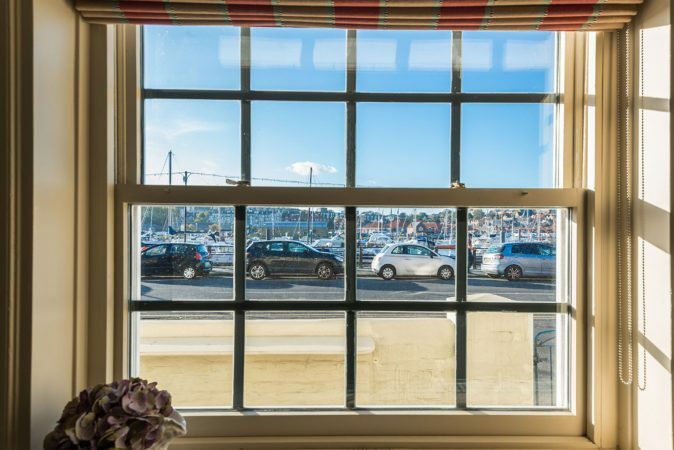 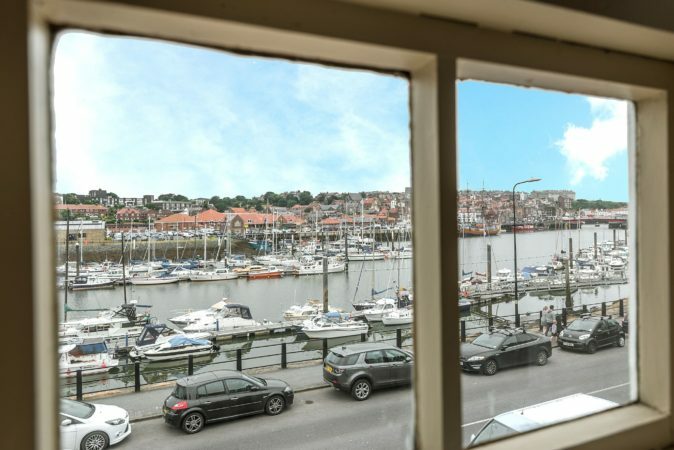 Such an historic home on Whitby’s older East Side boasts a prime setting, with uninterrupted marina views from the upper floors. 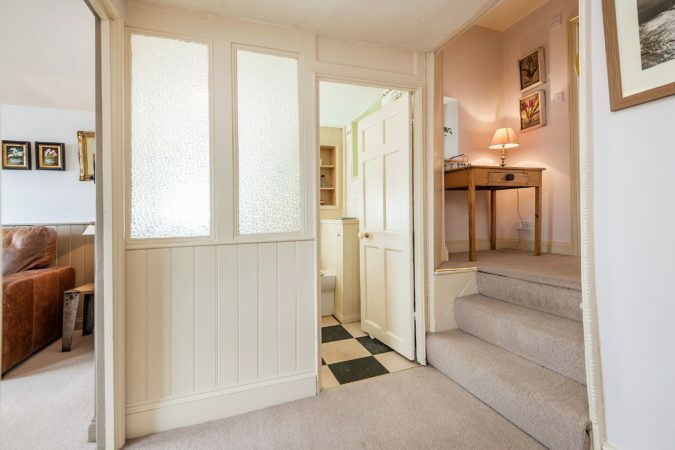 There are steps throughout this higgledy-piggledy house, which has an immaculate use of space and features. 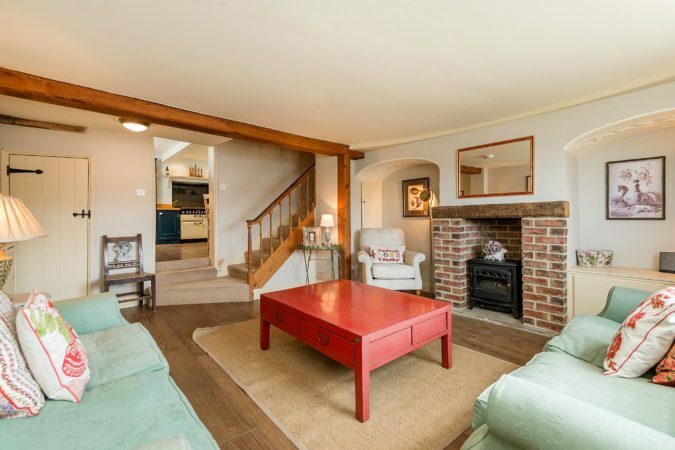 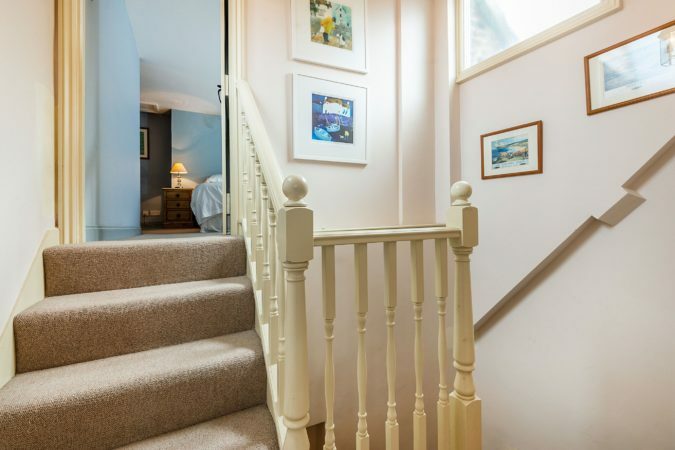 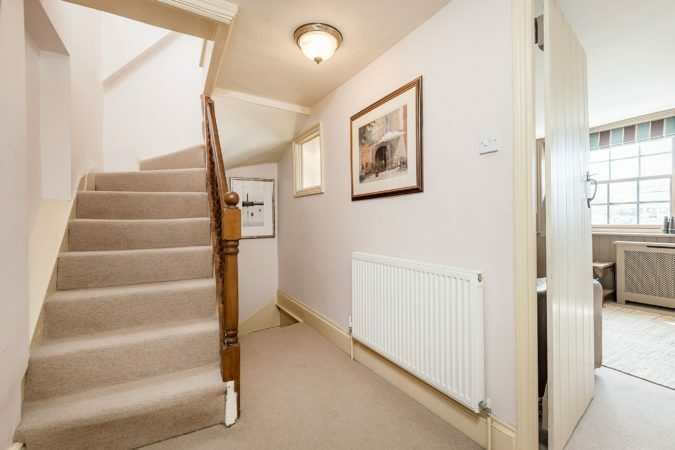 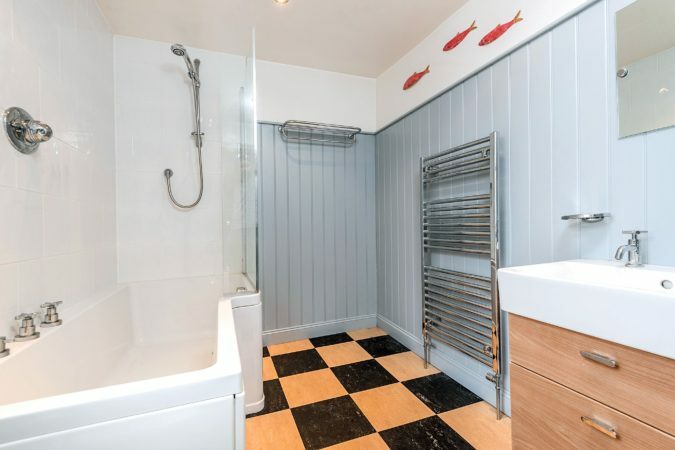 Discover three bedrooms – a double, a twin and a master with an en suite shower room. 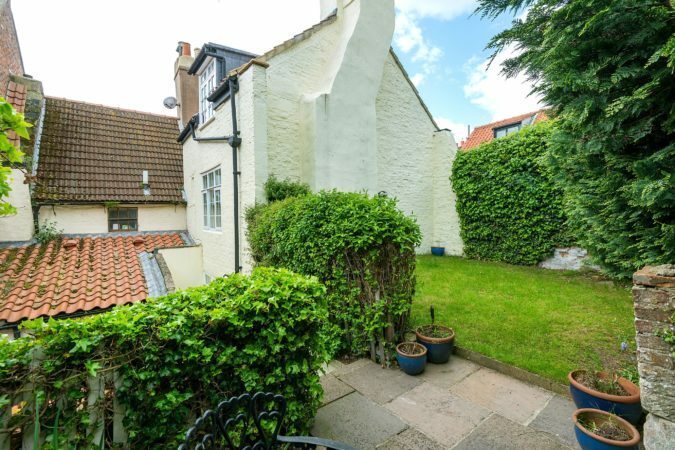 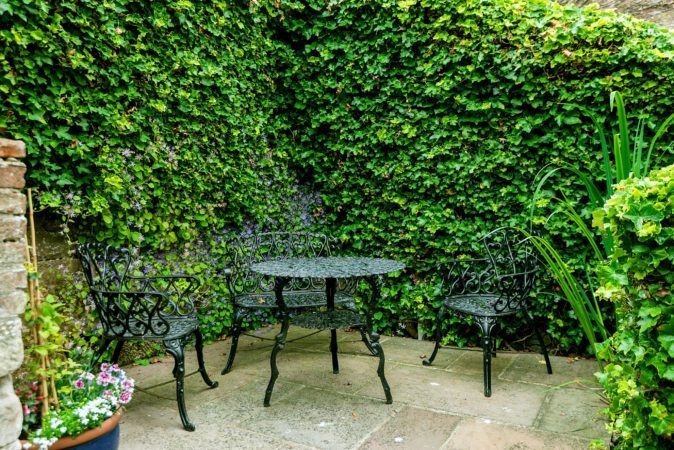 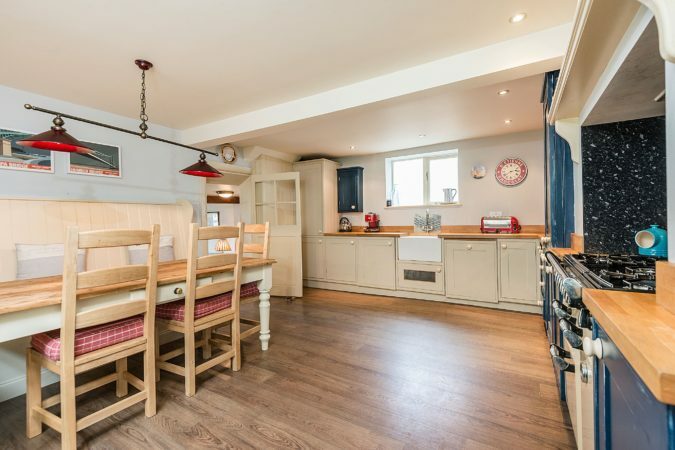 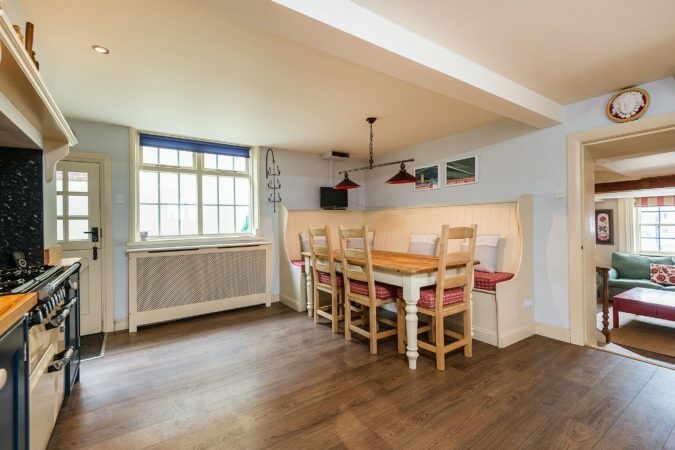 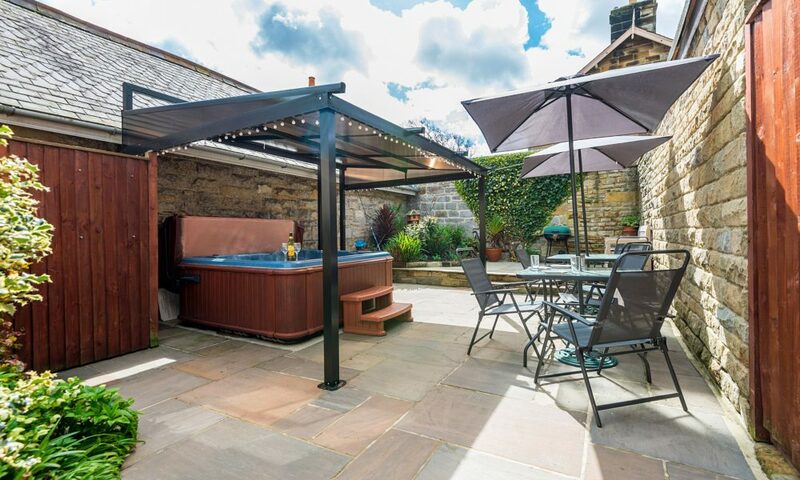 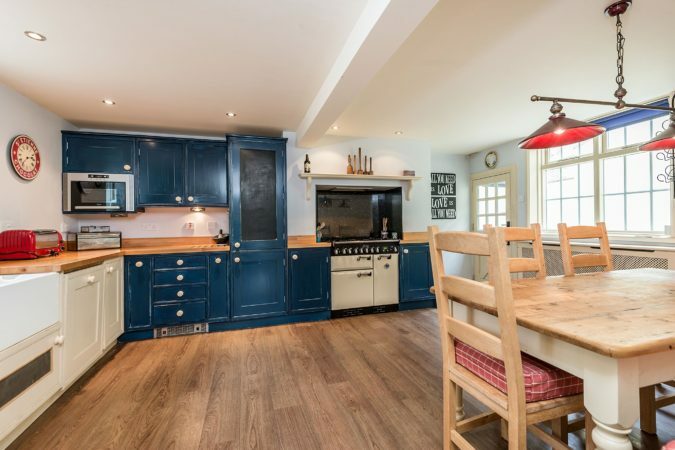 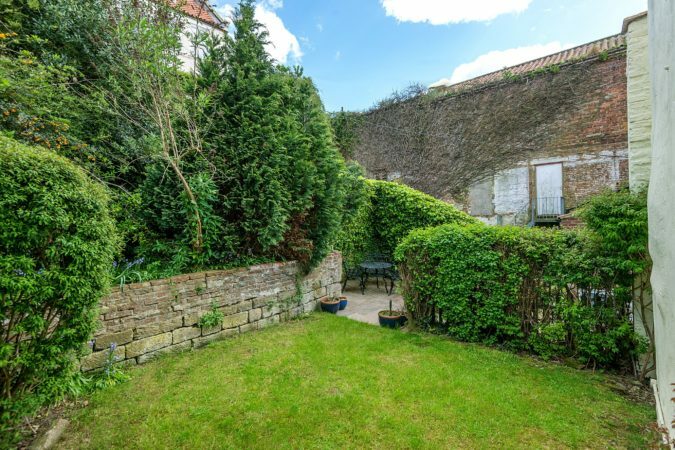 The attractive kitchen diner has space for everyone and leads to the secluded secret garden, tucked away for sitting out and barbecuing, quite a rarity in central Whitby. 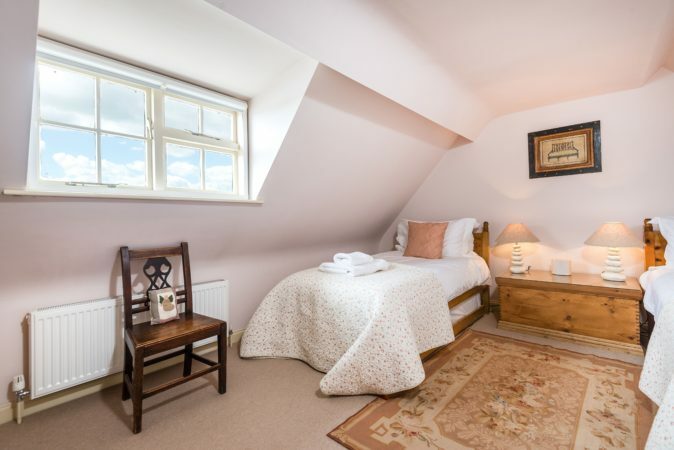 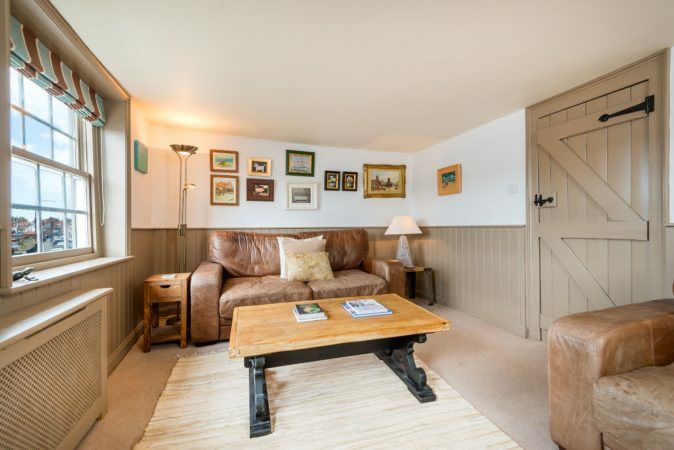 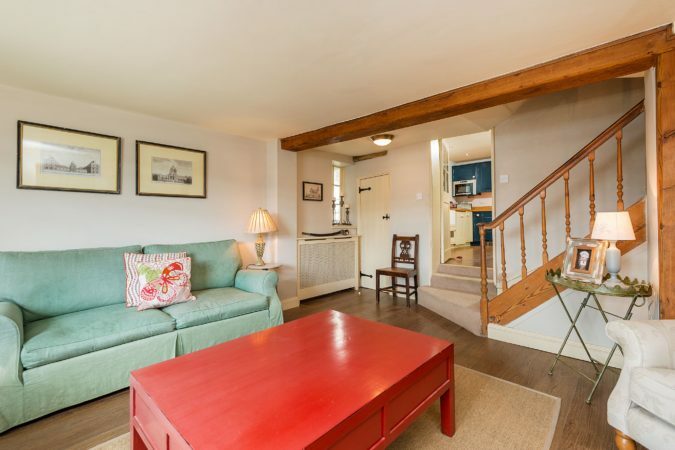 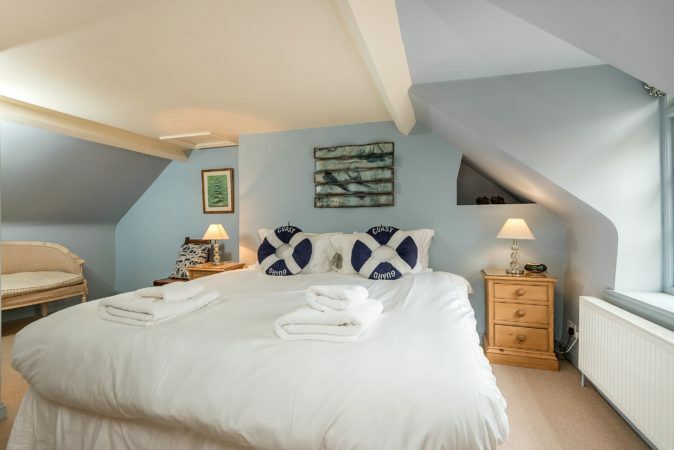 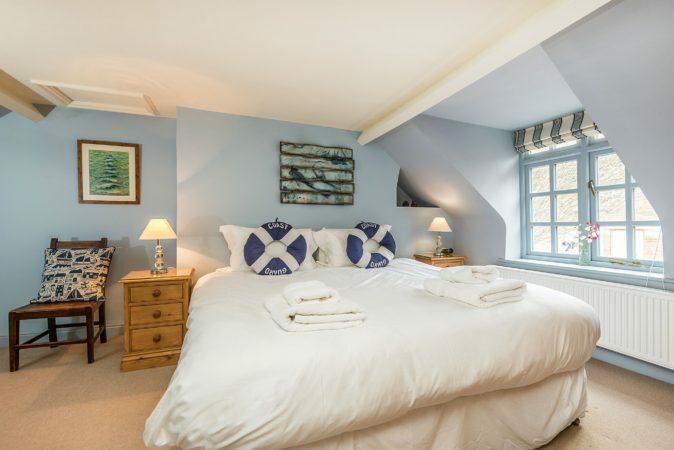 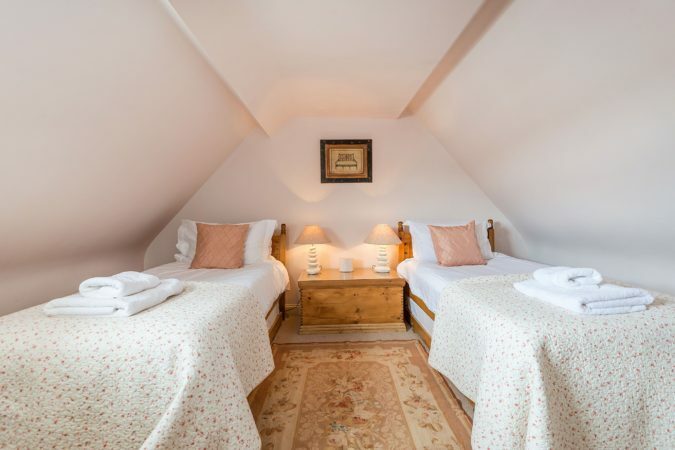 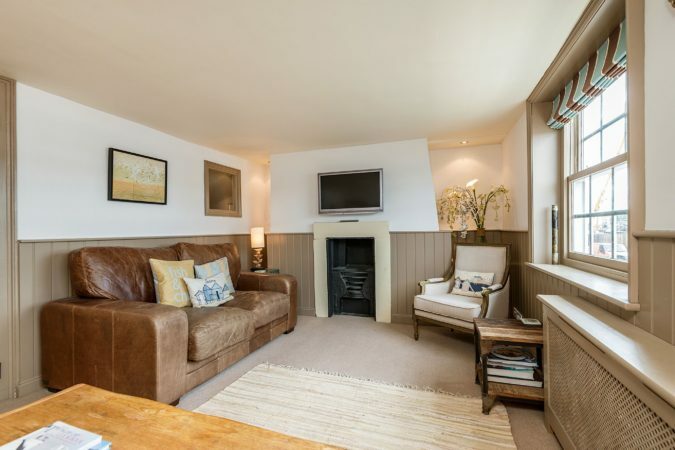 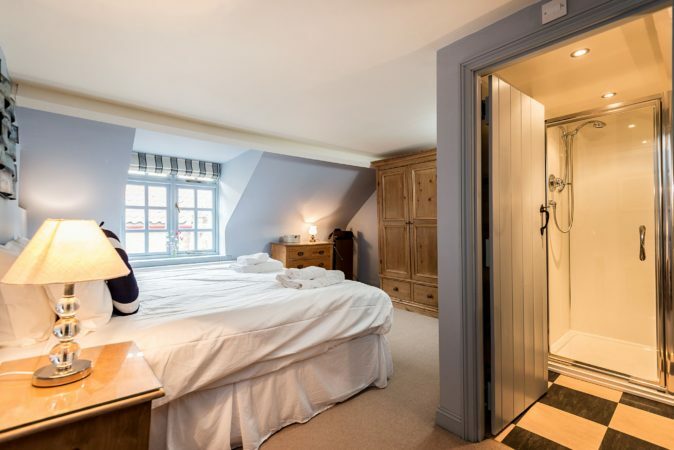 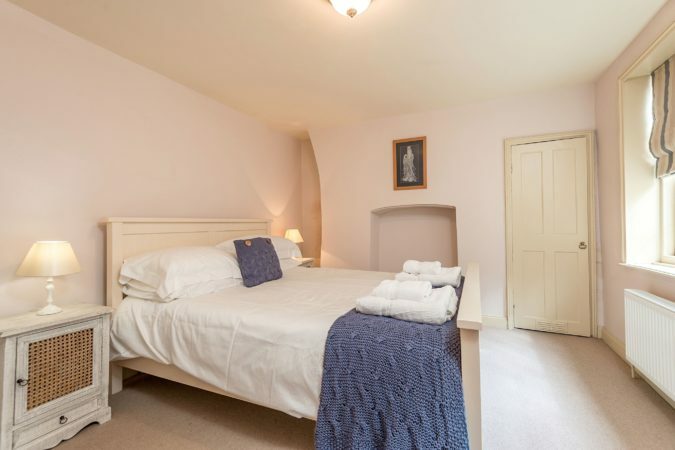 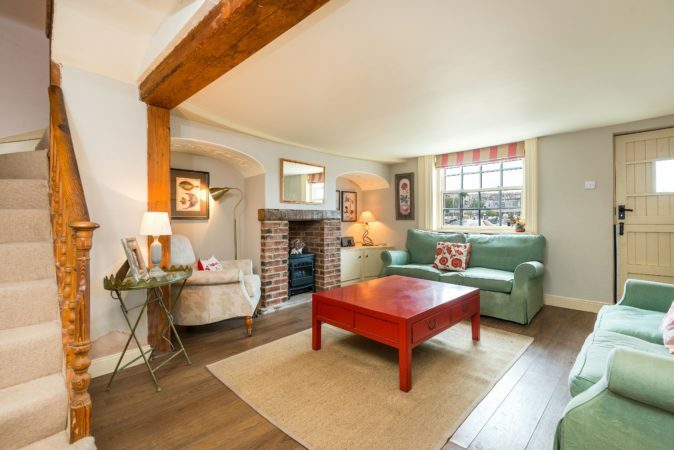 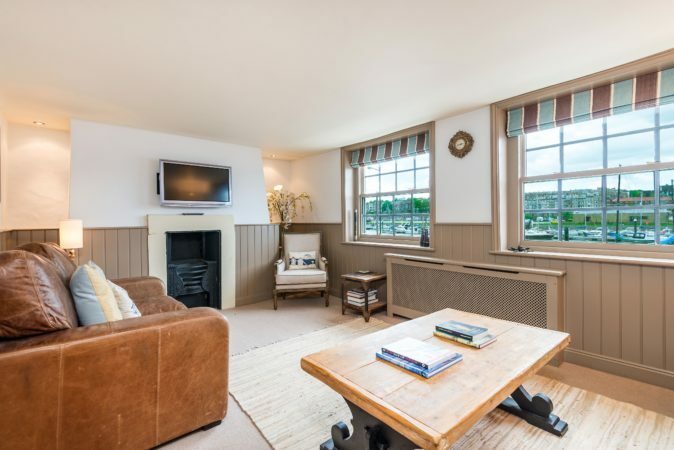 We love the New England style of the mid-level snug that comes with free Wi-Fi and Freeview channels. 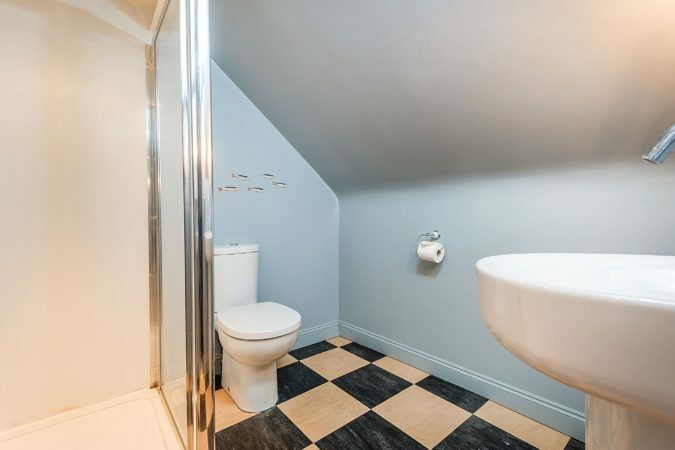 No one’s caught short as there’s a separate cloakroom and family bathroom too. 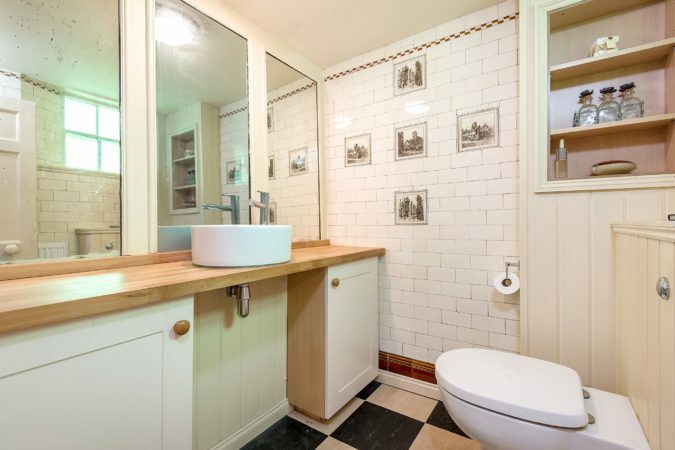 In fact, there’s nothing lacking throughout. 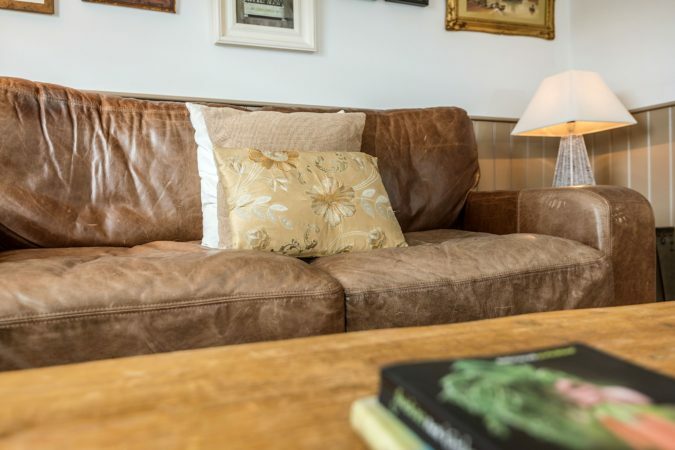 Scoresby House is where history meets modern living and best of all – your dog can come too. 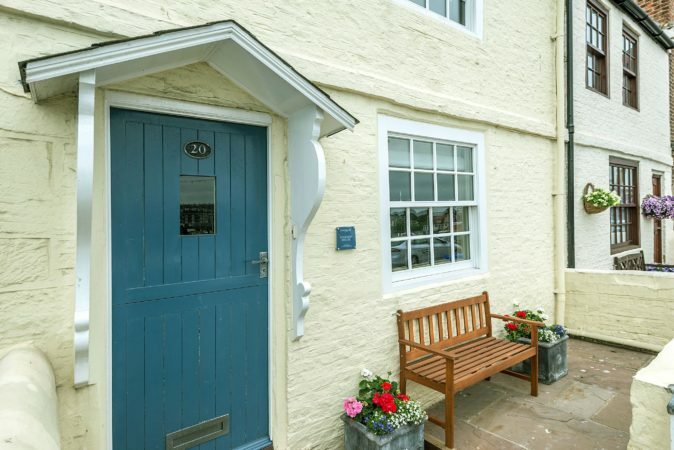 Free parking is sometimes available on Church Street itself or ask us about our private parking bays, which aren’t too far away. 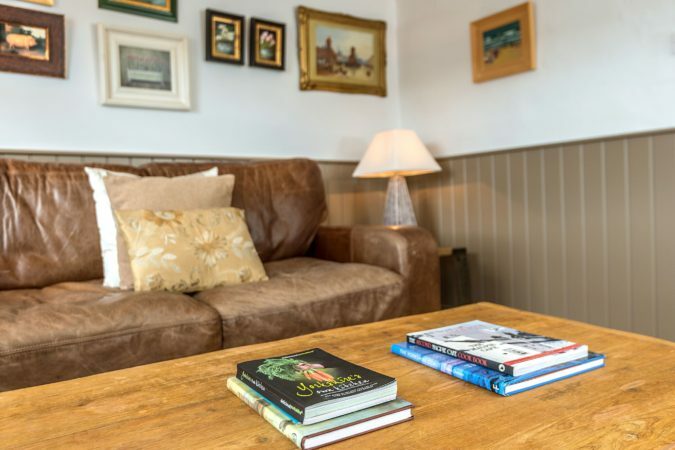 There are bus stops nearby, a fish and chip shop a stroll away and The Fleece – a great, dog-friendly pub with occasional live entertainment. 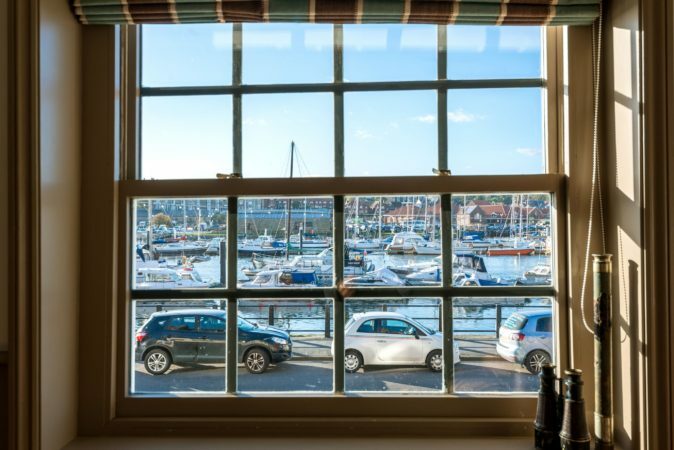 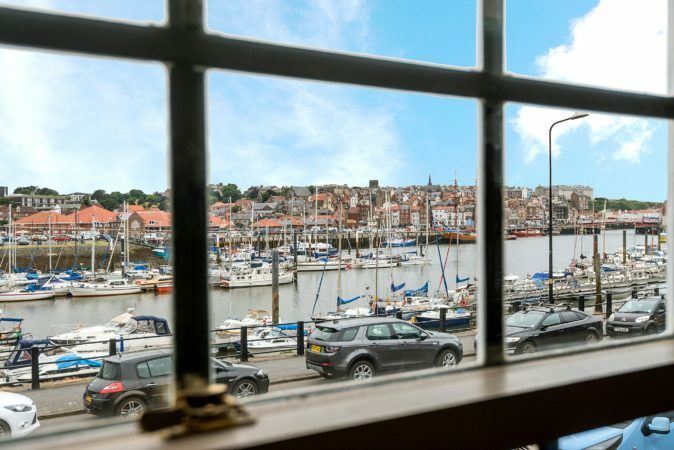 You’re not far from Whitby Abbey and the wonderful cobbled lanes showcasing ice creams, souvenir rock and Whitby Jet.